Do I have to speak Spanish to work as an English teacher in Spain? No, you don’t. You’ll find that most schools prefer the communicative approach to language teaching which involves immersion in the target language. It is perfectly possible to teach English without recourse to Spanish. However, Spanish is a considerable benefit for settling in and making day-to-day life more comfortable. A good knowledge of Spanish will also help you understand why learners are making certain errors and, therefore, enable you to provide more effective correction. Not spending ALL your time with your fellow teachers and other ex-pats is important if you are serious about learning Spanish. One of the best ways to learn Spanish is to share a flat with Spanish flatmates. However, a formal course will be necessary if you want to progress in a more structured way. As with any language this depends on your level of commitment. One positive thing about learning Spanish is that the words are pronounced the way they are written which is more than can be said for English! Spanish is also said to have significantly less vocabulary in its lexicon in comparison to English. 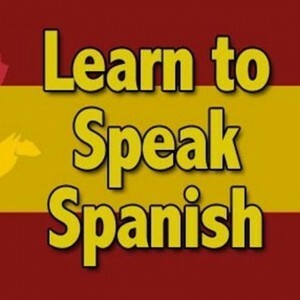 Where can I find a Spanish course? Spanish courses are available in almost every city and town the length and breadth of Spain.